After the poor first quarter performance of Bitcoin [BTC], analysts say many “weak” hands have left the market and only the ones truly interested in the technology and believe in the future of this revolution remain. John McAfee had earlier said that he will eat his di*k if Bitcoin didn’t hit $1 Million by December 2020. After the dismal performance of crypto, 3 days ago the market gave a glimpse of what Bitcoin was capable of when it shot up by $1000 in a span of 30 minutes and started trading at $8000. Although there were a lot of Twiterratis questioning his “math skills”, the majority of the community understood and stand by what Bitcoin’s future is going to look like. Over the past three days, post-Bitcoin’s dramatic rise by $1000, there have been experts who have predicted Bitcoin to be at least 10x the value it currently is at. Tim Draper, an American venture capital investor recently said that Bitcoin could be $250,000 by 2022. CNBC’s Brian Kelly later acknowledged that Tim’s prediction was possible. Fundstrat’s Tom Lee had earlier predicted that by the end of this year Bitcoin could touch $25,000. BotBird – Your cryptocurrency investment partner for modern trading! i hope he does not hurt his back bending over. 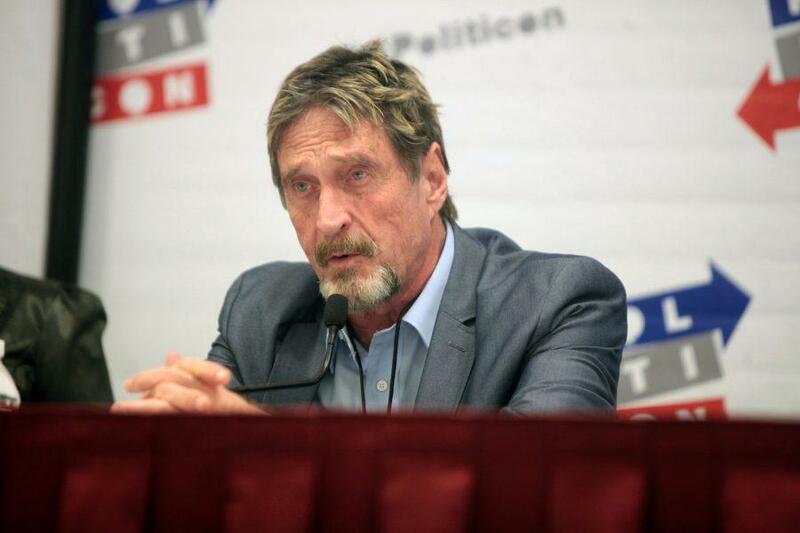 mcafee has his cult disciples that hang off every word he says. finds cheap cryptos to buy into, then tells his lemmings that crypto will be the best thing since the last one, his lemmings buy in to pump up the value before he cashes out and makes his money. has himself the perfect scam. claiming fiat will devalue as crypto goes up is ridiculous. crypto is bought with fiat. you have have to ask why the people generating these coins are accepting fiat if it is going to devalue or be replaced, as it would have no value for them. crypto has it’s place and is growing, but mcafee has his own little rort going on to cash in on klingons that can’t think for themselves.